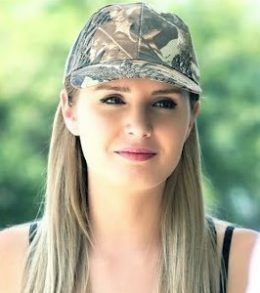 The most dangerous and remarkable thing about Lauren Southern’s wonderful documentary Farmlands  is that it promotes white tribalism. For most people – whites and non-whites alike – this is enough to make the film anathema. They will recognize it for the taboo-breaking film that it is and either stop watching or begin hating Lauren Southern as a racist or white supremacist. Sympathizing with whites as victims just isn’t cool these days, you see. For racially aware white people, however, Farmlands deals with much more than breaking taboos. It follows Southern on her trek through South Africa as she uncovers the very real abuse, neglect, discrimination, and violence that whites as a minority must face at the hands of the black majority and their black-run government. The documentary addresses nothing less than the life-and-death issues that these people face every day, and very quickly identifies them both as white and as virtuous victims. It does so, I would gather, for two main reasons. One is the obvious, textual reason: South African whites are suffering the bald injustice of racial oppression, a fact that anyone not blinkered by the anti-white Left should appreciate. And the other is the not-so-obvious, subtextual reason: that we, the whites in the audience, should sympathize with the people in this film not just because they are innocent victims, but because we are like them. This latter notion makes Farmlands a truly radical film; radical in a good way. The film begins with Southern describing her reasons for heading to South Africa: the rumors that a grave injustice is being perpetrated upon the white South African population, rumors not just of oppression but of mass murder and potential genocide. She admits that this is the far-Right version of what’s happening there, and that the mainstream narrative paints a much rosier picture. As a disinterested journalist, however, she wants to see for herself where the truth lies. She suspects it’s somewhere in the middle. Before she arrives, however, we are offered a very brief history of the white Afrikaners in South Africa. These are the descendants of the original Dutch settlers who came to the southern tip of Africa in the seventeenth century and who formed what was known as the Dutch Cape Colony. Known today as Boers, the Afrikaners constitute most of the farm owners who are being victimized by the South African government’s recent land appropriation legislation. I’m sure Southern was working under time and budget constraints, since the history mentions little about the English presence in South Africa and the trauma created by the Boer War. Nor does it mention pre-Apartheid legislation, such as the Native Land Act , or go into much detail about twentieth-century black-white struggles prior to Apartheid. What it does do, however, is scandalous: It offers South African history from a white perspective. Between 1835 and 1844, hungry for land and determined to preserve a white supremacy they considered God had ordained, the Boers streamed north across the Vaal River and out of British control. The climax of that “Great Trek” came at the Battle of Blood River in 1838. A Boer wagon train defeated the onslaught of the Zulu king Dingaan, heir of the great Shaka, who had created the mightiest army south of the Sahara. Well, second mightiest, but who wants to nitpick? Seriously, by describing the Boers as “hungry for land” and wanting to “preserve a white supremacy,” while praising the might and ancestry of their black enemies, the Boers are painted as the bad guys here. However, Laura Southern has none of that. In her history, she describes the horrific events which led to the Battle of Blood River. Known as the Weenen Massacre, King Dingaan broke a treaty he had made with Boer leader Piet Retief and – in gruesome fashion – slaughtered over a hundred whites, including women, children, and Retief’s own son. They saved Retief for last, so he could witness it all. She may not say it in her documentary, but after her history, it is clear Southern wishes her audience to sympathize with the whites of South Africa. Once in South Africa, she witnesses the urban blight and the burning buildings that have become endemic. She’s told that there are on average thirty-two protests per day in South Africa. As for the infamous farm murders, she interviews people who would know a lot about them. Known as the “Blood Sisters,” this group performs the grisly task of cleaning up the crime scenes on farms. According to them, the number of black-on-white farm murders has increased recently. But it makes for rather chilling viewing, since these Blood Sisters are too afraid to speak their minds about the murders out of fear of their own government. This is what happens when you are a second-class citizen in a country without a First Amendment. After this, it only gets worse (for the white South Africans, not the documentary). Southern interviews farmers who recount the murder of their family members. They also express their frustration that the police show little interest in their welfare, and that the system is fairly lenient on the killers. One of the latter received fifteen years for the execution of a white farmer, but was out of prison sooner than that. Southern also meets with farmers who have been forced off their lands and who must deal with what’s called the “Black Economic Empowerment” program. This program ensures that the majority-black nation of South Africa has a black majority of workers in as many professions as possible. Farmlands demonstrates how in practice this leads to replacing competent white water supply engineers with less-competent black ones, causing untold problems for the farmers. And this very well might be on purpose, since the government is doing nothing to solve them. “They want us starving or dead,” one Boer farmer tells us. Later, when Southern visits a camp of impoverished Afrikaners, we learn that these people can’t just up and leave South Africa without paying a small fortune first. They are simply stuck there – to be exploited, neglected, or killed. Most chilling (and vindicating), however, are the interviews with two black subjects who agreed to participate. Both of these people prove the point of the “far Right” that Southern mentions early in the film: that blacks in South Africa do not feel that whites have rights they should respect. One Thabo Mokwena, an African National Congress executive committee member, says that farm confiscation will happen, but promises that it will be done according to the law. And if the law presently does not allow for it, then the government will change the law. So the idea of a law’s immutability seems completely beyond this person. A law is only an impediment to a government stealing from its citizens – until, of course, it isn’t. Far worse than Mokwena is Zanele Lawana of the Black Land First movement. This young woman has nothing but white-hate on the brain, and cannot wait to start a race war. “We are already at war!” she warns. “We are coming for you and we are going to get everything that you own!” Well, at least she’s being honest. That someone can say something so brazen and so threatening on camera and not expect to pay a political price for it speaks much about the anti-white state of affairs in today’s South Africa. How can anyone viewing this not see that, unless something drastic is done soon, the days for whites in South Africa are numbered? Southern does offer some glimpses of hope, however. She visits Orania, an area in South Africa which is the world’s only true white ethnostate. Only white South Africans live there, and as she tours the place, she notes how orderly, safe, and clean it is. This is opposed to the heavily black urban centers, in which white shopowners must invest in extreme security measures to stay in business – or, in many cases, just to stay alive. The chilling story of a woman who was forced to shut down her paintball shop because of constant break-ins and a pair of armed robberies stands in stark contrast to the happy residents of Orania. This poor woman is now trying to leave South Africa. Southern also interacts with Simon Roche and the Suidlanders. This is a South African white survivalist group which is preparing for the inevitable civil war. These people are well-funded, organized, and number in the tens of thousands. They are prepared to leave their homes at a moment’s notice and start anew. They have gear, food, and crops at the ready, and frequently do trial runs so they never fall out of practice. While it is reassuring that whites in South Africa are taking their survival seriously enough to form groups such as this, it’s also disheartening that they have let it come to this. This was the reason why they had Apartheid to begin with. It seems like some lessons will just have to be learned all over again, and at great cost. Thankfully, we have journalists and filmmakers like Lauren Southern to show us what whites are up against and what needs to be done. Without taking race into account, Farmlands should be a slam dunk. Everyone should praise it. How many documentaries have we seen that chronicle the plight of minorities in supposedly oppressive countries like the United States and others? On a technical level, Farmlands actually has a lot in common with the Eyes on the Prize documentary series, which chronicled the 1960s Civil Rights movement. There are tales of injustice, interviews with the aggrieved, and thinly-veiled calls for action and social change. In this sense, Farmlands, while excellent, is unremarkable, because it is preceded by similarly excellent documentaries that basically tell the same story. But of course, Farmlands is not unremarkable. It tells the story of an injustice against white people. And because of that, it’s in a league all its own.